Little Jada Bug loves to bounce. 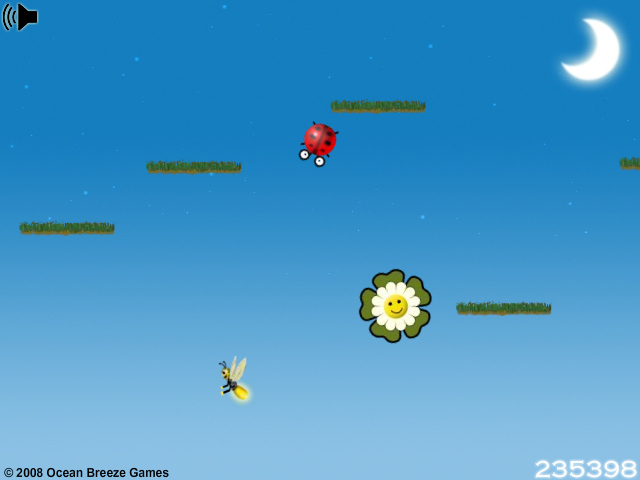 Use the arrow keys to move her from platform to platform, hitting bugs and flowers along the way.Keep this lovely little bug aloft.Cheerful little Jada Bug loves frolicking in the moonlight. Help her stay aloft as long as you can in this cute arcade game. 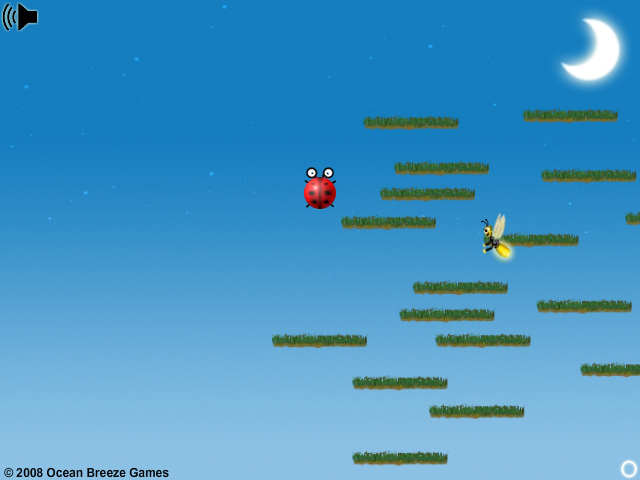 Use the arrow keys to direct her as she bounces from platform to platform. 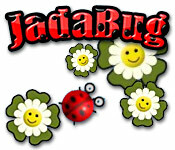 Hit glowbugs and flowers for extra points. As Jada bounces to the right, the platforms will grow sparse and eventually disappear. She will need to bounce off of glowbugs and flowers to continue her peaceful evening under the moon.